Hi students, one of our district wide goals is continuous improvement in all areas of the school. To evaluate our current level of performance, we are asking all students for input. Would you please take about five minutes to fill out this survey based on your observations in the building(s) you were in this year? Please answer all questions in the survey and then click "Done" when finished to submit survey results. 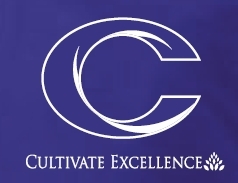 On behalf of the entire Caro Community Schools staff, thanks in advance for taking the time to help us to improve the instruction we offer you. * 4. At my school, the staff want me to do my best work. * 5. The staff at my school help me to learn things I will need in the future. * 6. I have the support of my family. * 7. I feel prepared for life after high school. * 8. The staff at my school help me to work toward obtaining my high school diploma. * 9. This school year, I’ve heard a staff member or other adult in the school make positive comments about students. * 10. This school year, I’ve heard a staff member or other adult make negative comments about students. * 11. I have talked with someone about how it feels to go to my school. * 12. I would recommend my school to other students. * 13. Most of the students at my school get along well. * 14. Students at my school know how to report harassment, bullying, and racial abuse to school officials. * 15. The staff at my school actively work to create a safe and welcoming environment for every student. * 16. Most of the students at my school feel like they fit in. * 17. My school creates opportunities for students to get to know each other. * 18. At my school, adults and students listen to each other. * 19. What do you like the most about your school? * 20. What is one thing you don't like about your school? * 21. What is one idea that would make your school a better place.